Mark Cavendish's superb form in the 2016 Tour de France continued as he claimed yet another stage victory in a bunch sprint on Saturday. Saturday's 208.5km trek from Montelimar to the Parc des Oiseaux at Villars-les-Dombes provided little entertainment up until the final kilometres, as the main contenders for general classification glory made relatively stress-free progress within the peloton. 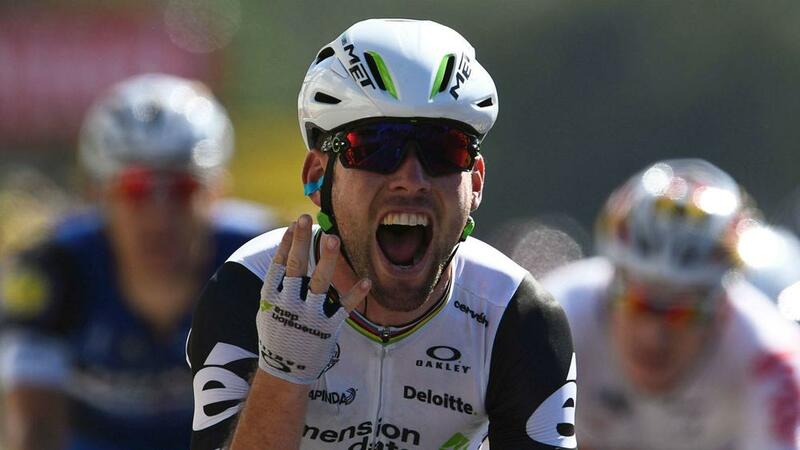 A four-man breakaway was gradually swallowed up before the sprint specialists took centre stage and it was Dimension Data rider Cavendish who again proved the class of the field, the Briton claiming his fourth stage win of this year's Tour and 30th overall. Etixx - Quick Step's Marcel Kittel was left unimpressed at the finish, the German apparently believing he had been blocked off by Cavendish in the surge to the finish line. Kittel waved his right arm in frustration as he crossed the line in fifth, behind Cavendish, Alexander Kristoff (Katusha), Peter Sagan (Tinkoff) and John Degenkolb (Giant-Alpecin). "I was way past him, so I don't think there's anything wrong," said Cavendish, whose success on stage 14 was swiftly confirmed. Team Sky's Chris Froome maintained his overall lead of one minute and 47 seconds over Bauke Mollema (Trek-Segafredo) as the GC standings remained unchanged. A stage featuring three category-four climbs was largely devoid of incident, Jeremy Roy (FDJ), Martin Elmiger (IAM), Cesare Benedetti (Bora-Argon) and Alex Howes (Cannondale-Drapac) the four men to lead for much of the journey. Howes and Beneditti found themselves reeled in by the peloton first before their fellow breakaway riders were also caught inside the final four kilometres. Cavendish then triumphed in the dash to the line, although Sagan continues to hold a comfortable lead in the green jersey standings. Two riders withdrew on Saturday, last year's eighth-placed finisher Mathias Frank (IAM) pulling out with gastroenteritis prior to Matti Breschel (Cannondale-Drapac) crashing out.